In our previous post, we explained some easy hair styling tips that will give you a head of hair you’ll love. Hair maintenance doesn’t have to be hard, but in the world of beauty magazines, YouTube beauty tutorials, and reality television stars who are always made-up, it is easy to become overwhelmed. Where do you even begin? Fortunately, we have good news for you — hassle-free hair is all the rage! Here are some additional tips and tricks that will give you gorgeous hair with little to no effort. 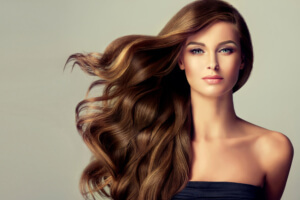 Hair is quite elastic; it can expand by up to 30% of its original length when wet. But this elasticity is not always a good thing as hair is the most vulnerable when wet, and if you brush or comb it too much, you’ll soon have a lot of frizz. So to prevent static and frizz from ruining your day, let your hair air dry and then style once it’s about 85% dry. Changing your color at the hair salon can be fun, but incredibly high maintenance. One of the best ways to color your hair is to opt for highlights. Not only are they the easiest way to revamp your look, they grow out easily and don’t require frequent root touch-ups. Are you always rushing out the door in the morning? If so, consider washing and styling your hair at night. The easiest way to spritz your hair with some sea salt spray for hold and volume, and then braid it while wet. All you’ll need to do is wake up, take out the braids, tousle your hair with your fingers, add another spritz of sea salt spray, and you’ll be ready to go. We know that this may sound counterproductive, but dry shampoo is fantastic for adding body and texture to clean hair. Sometimes clean hair can seem lifeless by the end of the day, but using some dry shampoo is the easiest way to prevent this! Plus the shampoo will also start to absorb oil as soon as its applied, which will make you look fresh all day long while protecting your color. Just follow these easy hair maintenance tips and tricks and you won’t have to deal with bad hair days anymore!